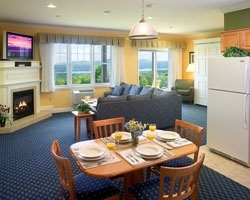 Steele Hill Resorts, perched on top of Steele Hill in the heart of the New Hampshire Lakes Region, offers spectacular views of Lake Winnipesaukee and Lake Winnisquam framed by the White Mountains. Set amongst 500 acres of unspoiled fields and hardwood forests, guests enjoy a 9-hole executive golf course, snowmobile trails, snowshoeing, hiking trails, and fishing in the private pond. 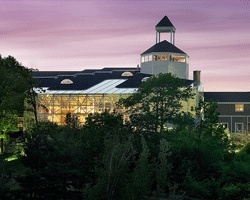 Magnificent year-round swimming pools and hot tubs in a plant-filled conservatory are the centerpiece of The Amenities Center. Other guest privileges include additional indoor and outdoor pools, tennis and racquetball courts, exercise rooms, roman spa, whirlpools, sauna and an enclosed observation tower. You can also enjoy the scenic vista from the full-service restaurant, the "Hilltop", and the adjacent fully-licensed lounge. The nearby lakes and mountains of New Hampshire offer ample opportunity for year-round recreation and scenic drives. Steele Hill Resorts is the perfect location for your next vacation, celebration or retreat. Floating season A (weeks 11-16, 45-50) at this lovely resort! 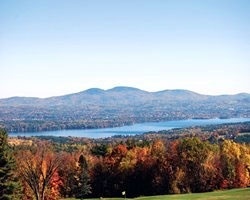 Perfect location for enjoying the picturesque Lakes Region of NH! Lake lovers rejoice! Odd years usage in a floating week! Buyer receives complimentary closing credit; inquire for details! Motivated Seller! Experience the tranquil sounds of nature in New Hampshire! Buyer may receive a title fee credit, inquire for details! Must sell. $99 or best offer. All offers considered! HIGHLY MOTIVATED SELLER! If you love lakes, boating & fishing, this one is for you! 43,000 RCI points are currently available. Enjoy Lake Winnipesaukee in a floating week in even years! Located in New Hampshire's Lakes Region! Ownership trades for 43,000 RCI points. Motivated seller, willing to negotiate! Winter, Spring, and Fall usage! Buyer May Receive A Title Fee Credit, Inquire For Details!